A culture of going above and beyond for the customer. A woman and her daughter were recently leaving one of our client sites in Boston when the daughter accidentally dropped her cell phone down the elevator shaft. The phone landed at the bottom of the shaft, two stories below. Thankfully, that employee was Matt, a front-line worker at the site. Matt quickly called the team that handled the elevators, explained the situation, and the phone was quickly retrieved. This high-level of service is something that we promote at all of our client sites, as we believe it’s one of the key ways to consistently raise the value of facilities services. Matt is one of many stories we have from the field that demonstrate how our team’s culture is the backbone of our service delivery success. We pride ourselves on delivering a broad portfolio of services, developing and empowering our people, and defining a new status quo. 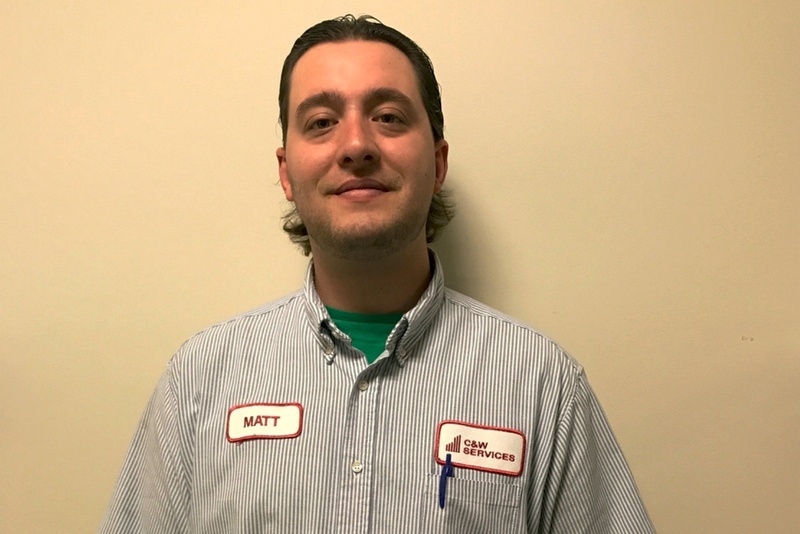 Get inspired and read more stories about employees just like Matt.